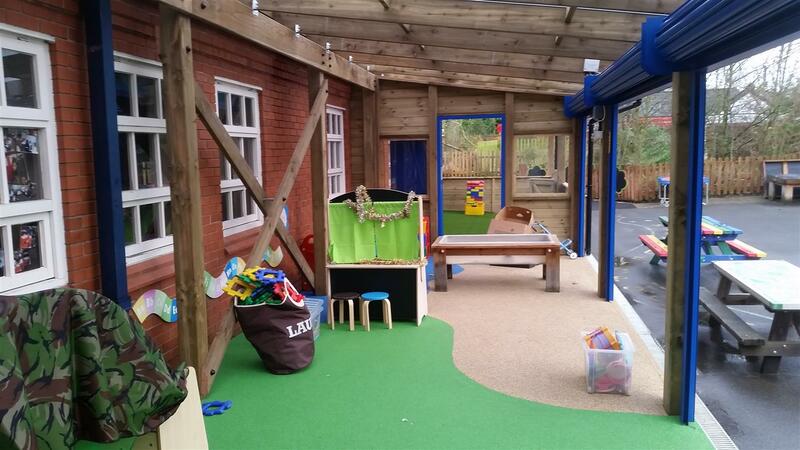 Haslington Primary wanted to give their Early Years children a free-flow learning environment to ensure they had the freedom to naturally explore learning opportunities both inside and outside of the classroom. 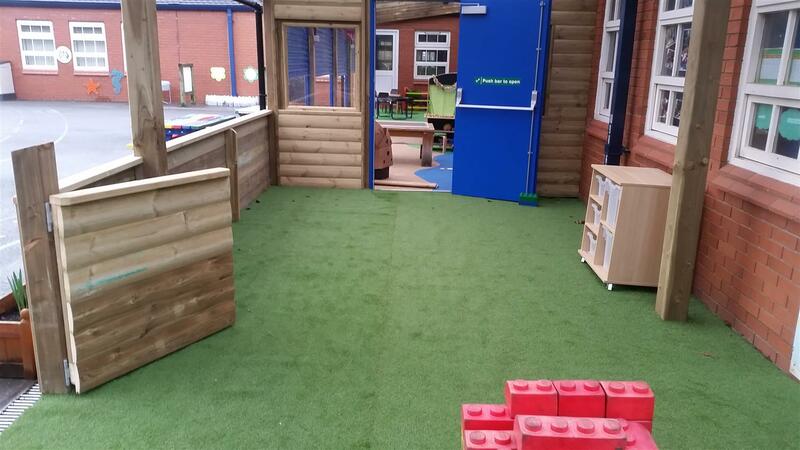 We therefore needed to provide a sheltered area attached to the building so that children could continue to learn aspects of the curriculum in any weather condition. 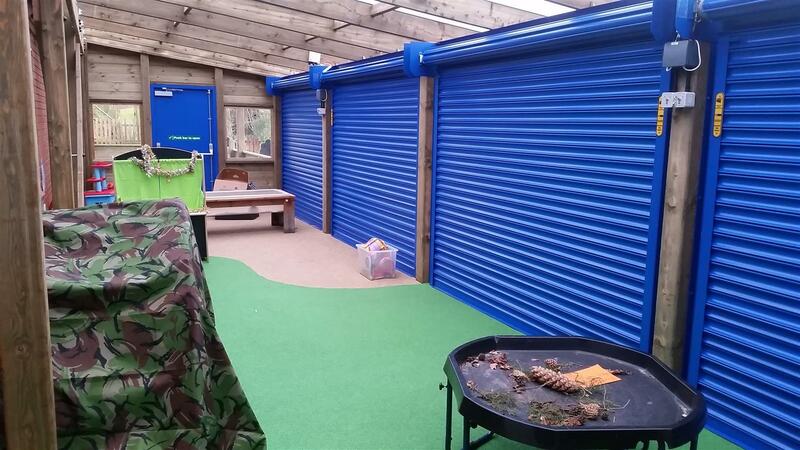 As the school had many great resources and pieces of learning equipment, ideally they would need a place to lock away items without the need of having to bring them all back inside at the end of play. This would help save the teachers time and would mean they’d be able to indirectly structure their learning environment. 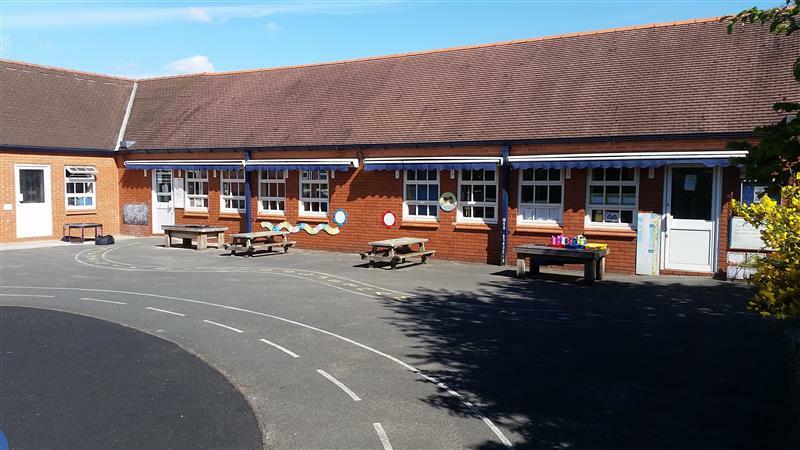 From viewing the area, we could see that their Early Years spread across two classrooms with one housing their Year 1 children. 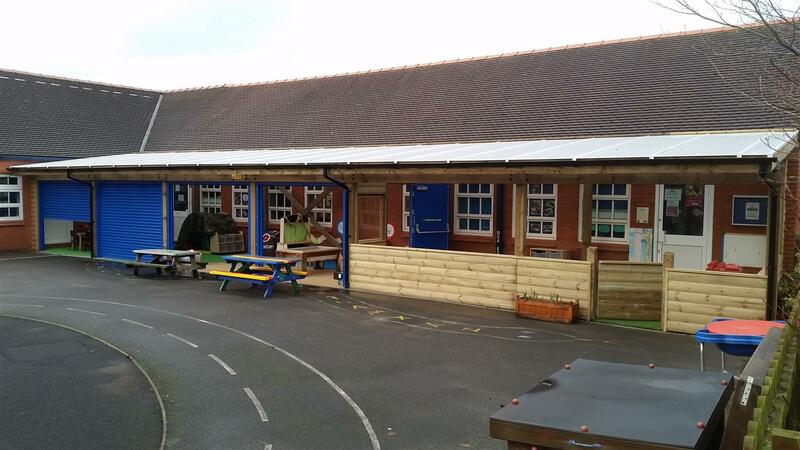 We therefore needed the outdoor structure to spread across both classrooms meaning they each had free flow access. 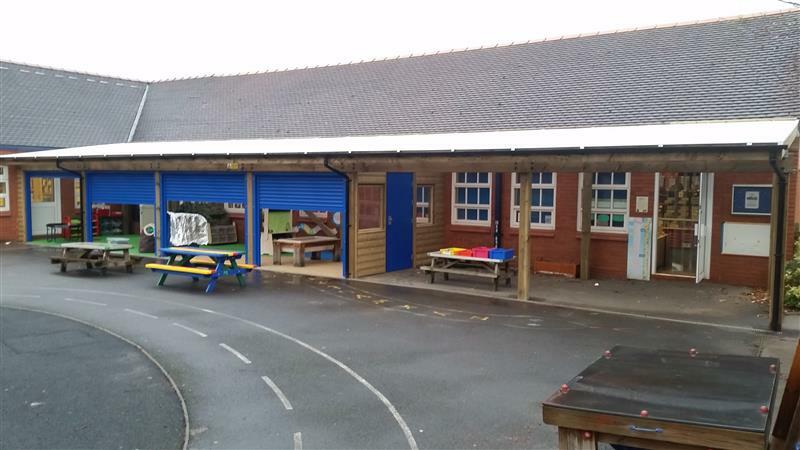 Our range of Timber Canopies solve any free flow need but with the added needs of Haslington Primary, we knew we had to bespoke our design to create the perfect solution. 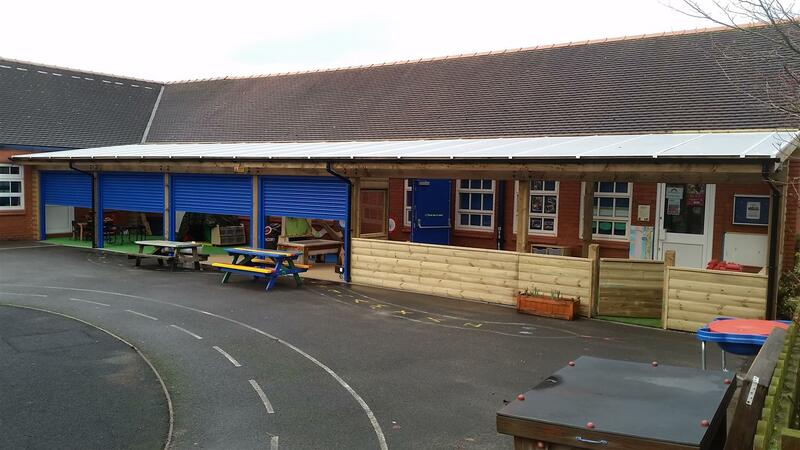 We had to create a watertight construction that spread across two classrooms with the addition of safe storage. 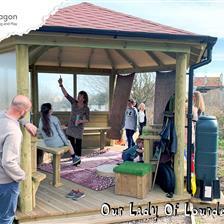 Our design team got to work and managed to invent the ideal outdoor classroom for Haslington's early years children. 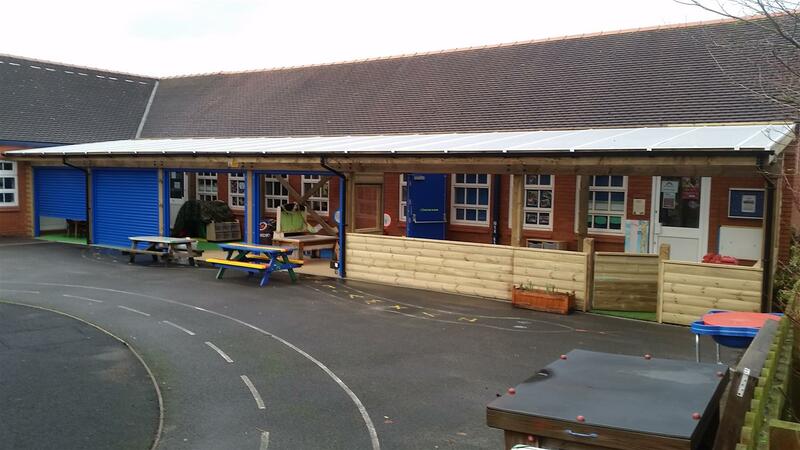 You can view our many examples of bespoken canopies here. 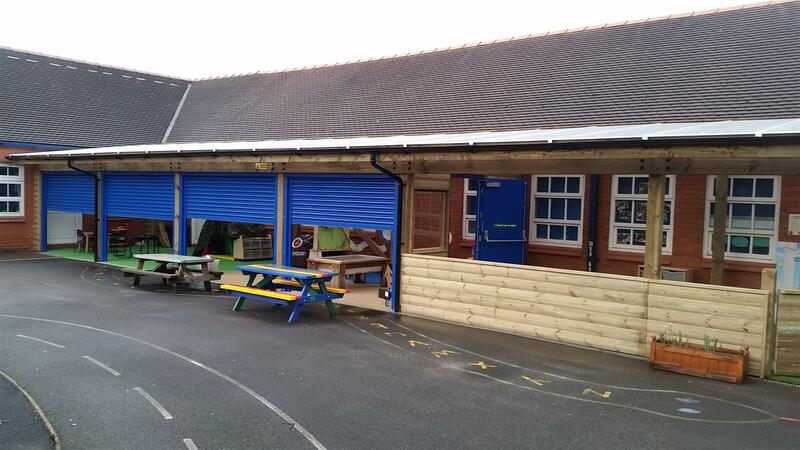 To solve the teachers storage needs, one half of the Canopy includes roller shutters that are operated electronically. 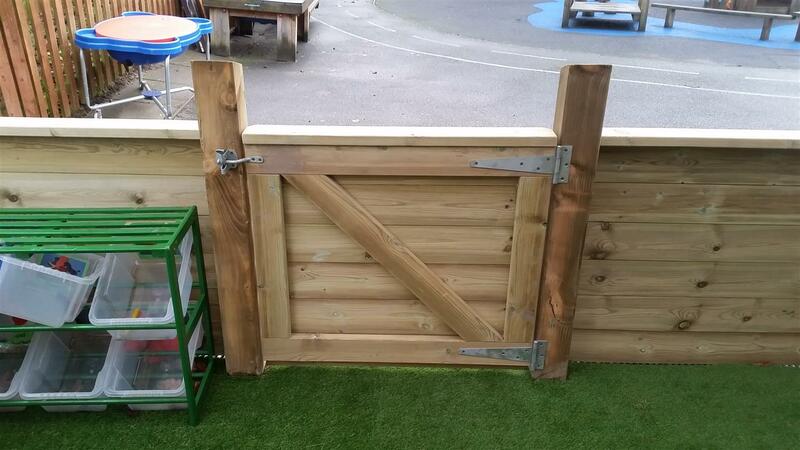 This means the teachers can lock away the area to keep their learning resources and equipment safe and also protect them from the outside environment. 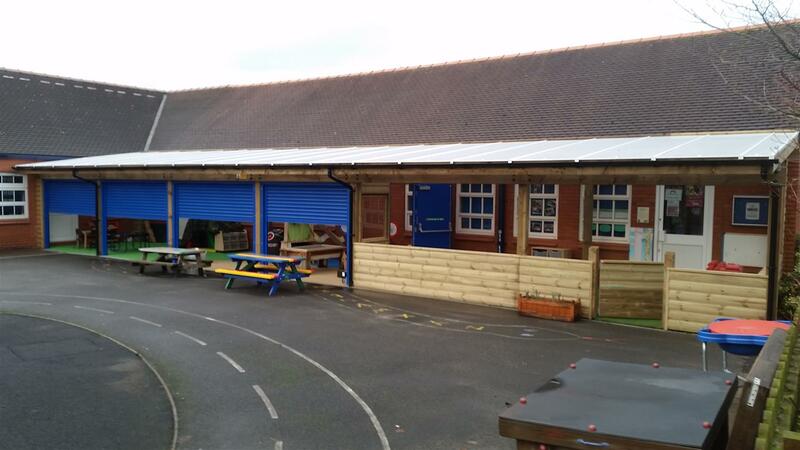 This will also become a time saver as teachers will be able to open and close it at a click of a button. 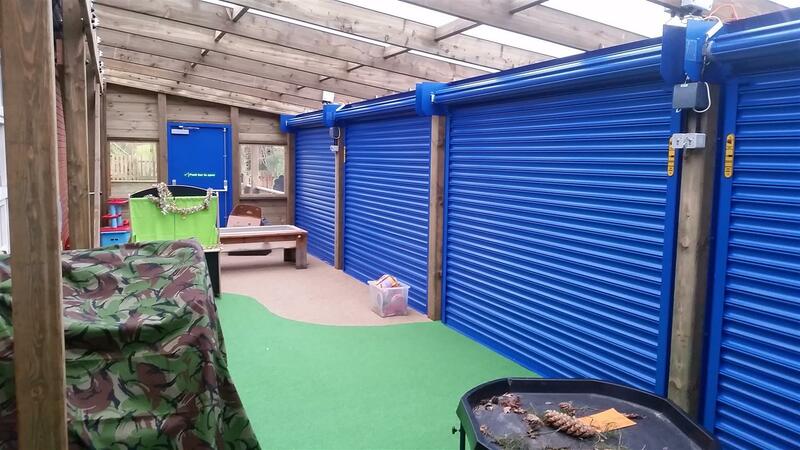 We made the shutters bright blue for imaginative purposes as they offer the potential to be interpreted into lessons if the teachers choose to do so. 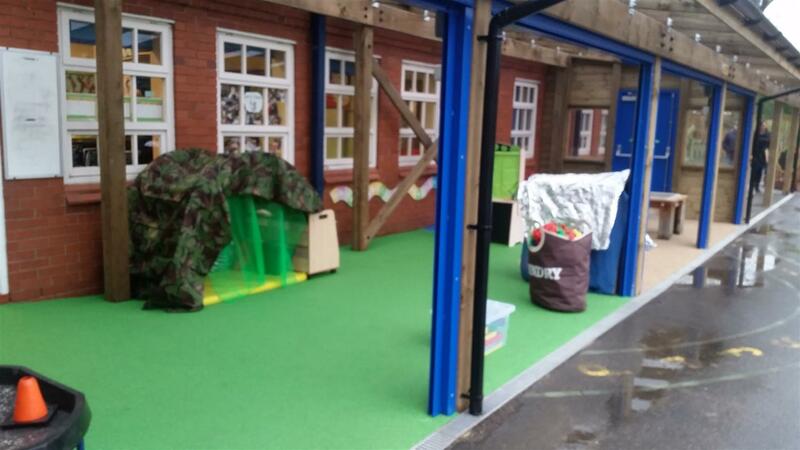 We also installed our Wetpour Safety Surfacing to protect the children and also give them an additional learning resource. 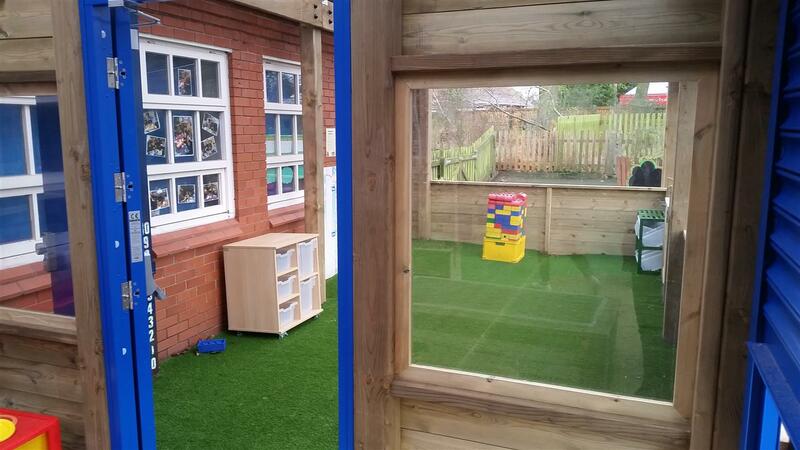 The multi coloured flooring includes the colours green, beige and blue which can be interpreted by the children as grass, water and sand. 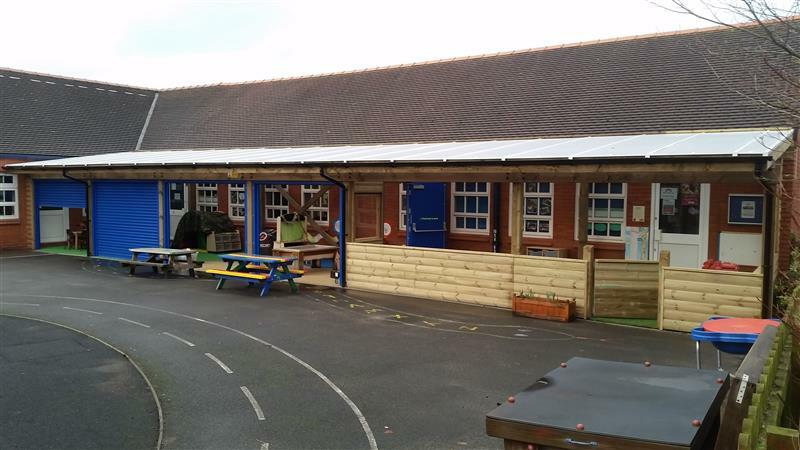 When installing Wetpour, we always ensure that it has the possibility to transform into a learning asset for the school. 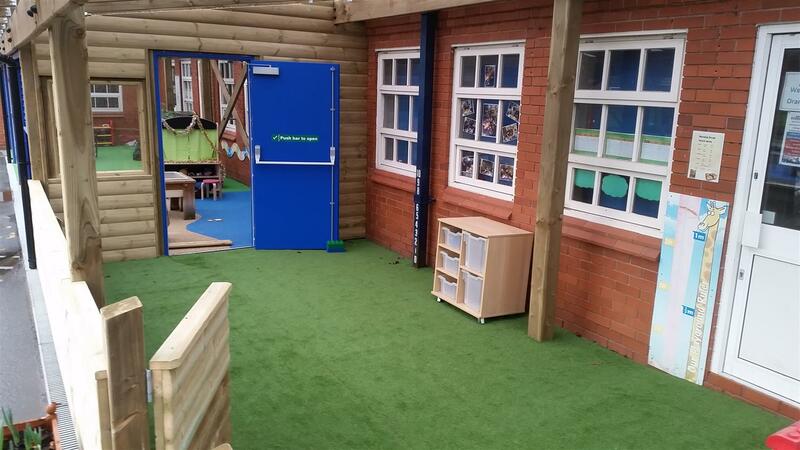 For the other half of the Canopy, we used excellent timber fencing with a door that can be accessed by both the teachers and the children. 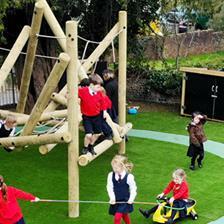 Instead of Wetpour, we installed our natural looking Playturf Surfacing to give the children sensory experiences. 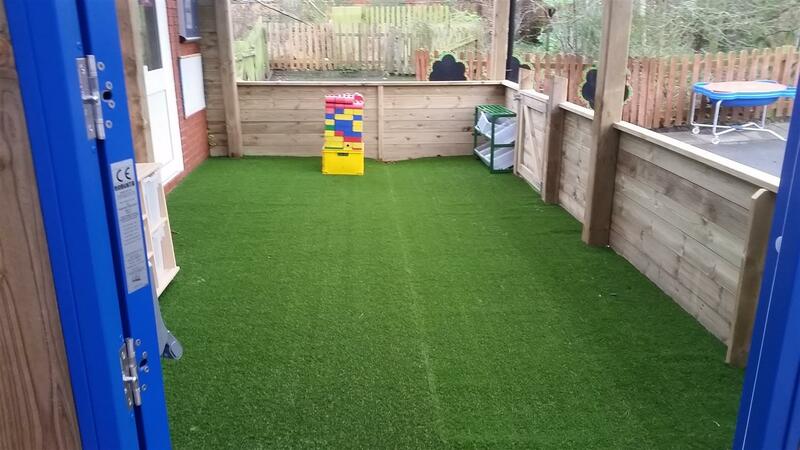 The artificial grass fibres are extremely realistic and give the area a bright and aesthetic appeal with the added bonus of safety from falls. 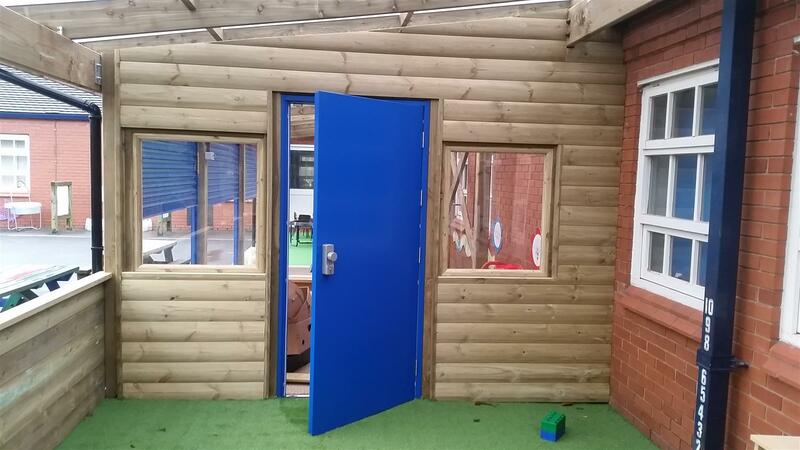 A door separates both classroom areas, meaning the teachers will be able to transfer their resources across to each classroom with ease and under shelter. 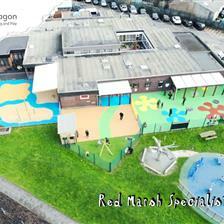 In a way, the area is now the perfect free flow environment for both the children and the teachers. 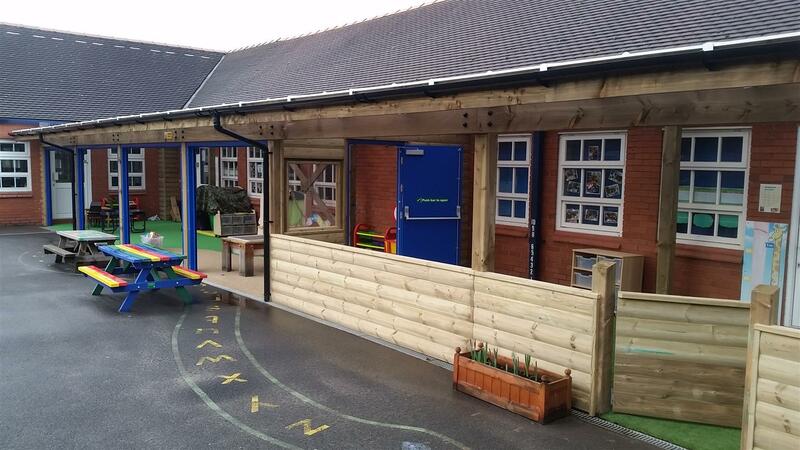 This was a fantastic project that followed our ethos of providing schools with something a little bit different than what our product range offers. We’re always excited to create something new and take great pride in knowing that our Great Team of consultants, designers, craftsmen and installers make dreams come to life. Feel free to browse our huge range of Outdoor Classrooms to see if we have a solution that suits your playground environment. You can also Contact Us to discuss things further or if you prefer, you can call us on 01625 890 330 (north office) or on 0117 379 0899 (south office).